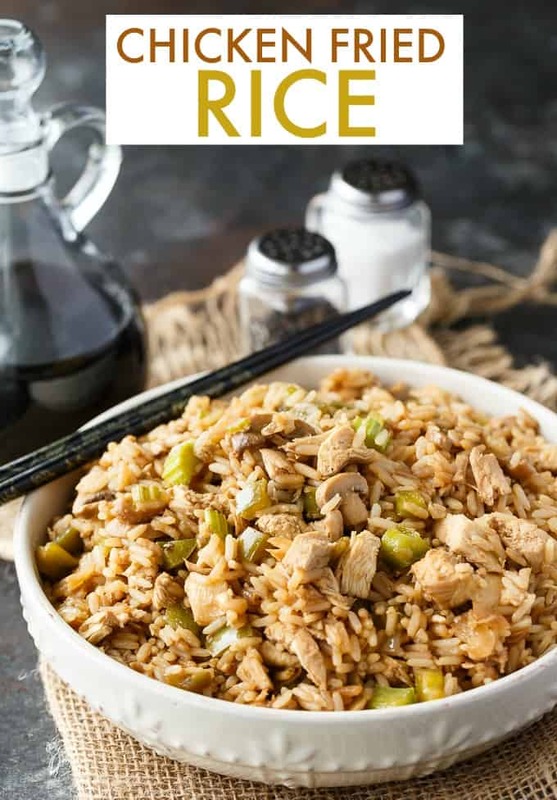 My mom used to make Chicken Fried Rice all the time when I was a kid. She knew it was a recipe that the entire family would enjoy AND it’s easy (and inexpensive) to make. You can make it last for an extra day or two with leftovers! 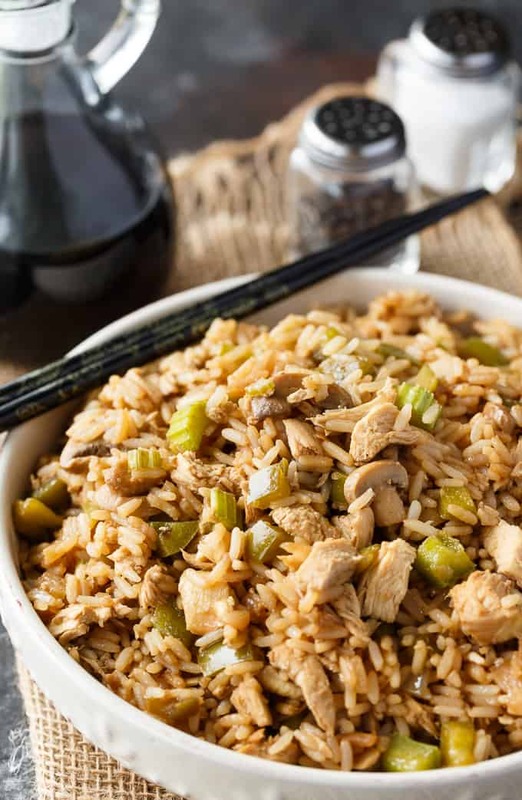 Why buy Chinese takeout when you can make your own Chicken Fried Rice at home? I think this recipe tastes better and won’t cost you as much to enjoy. What I love most about this recipe isn’t how delicious it is (it’s soooo good! ), it’s, instead, how easy it is to make. You can use leftover chicken if you like. It’s a matter of dumping all the ingredients into a casserole dish and baking in the oven. It’s not really “fried”, but still tastes the same, in my opinion. It’s the lazy way to make it! We eat a lot of chicken around here because of its versatility. Chicken is also affordable and can be used in so many recipes. The Chicken Farmers of Canada has a ton of recipes and I highly recommend visiting and bookmarking your faves. When you’re shopping for chicken, make sure to look for the “Raised by a Canadian Farmer” mark on the packaging. Canadian chicken is grain-fed and free of hormones and steroids. 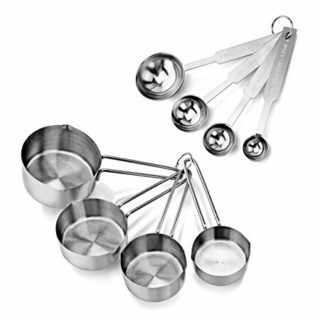 I don’t even use a mixing bowl for this recipe. 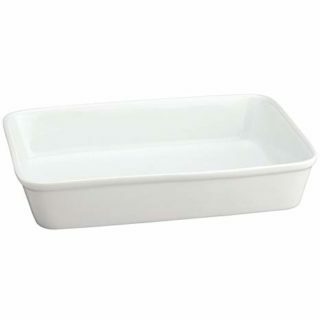 All the ingredients go in a 9×13 casserole dish and you can stir them together in there! 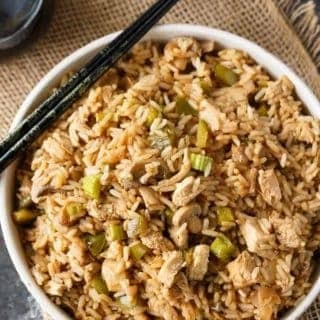 You’ll need cooked chicken (leftovers work great), uncooked rice (not Instant), water, soy sauce, vegetable oil, onion soup mix, onion, can of mushroom pieces, green pepper and celery. Add everything to the casserole dish, stir, and cover with aluminum foil. It bakes for 1 hour and 15 minutes. Check it to see that the liquid has absorbed and the rice is cooked. If not, put it back in the oven for a few more minutes. We often eat this dish as the main course, but it could easily be a side dish. 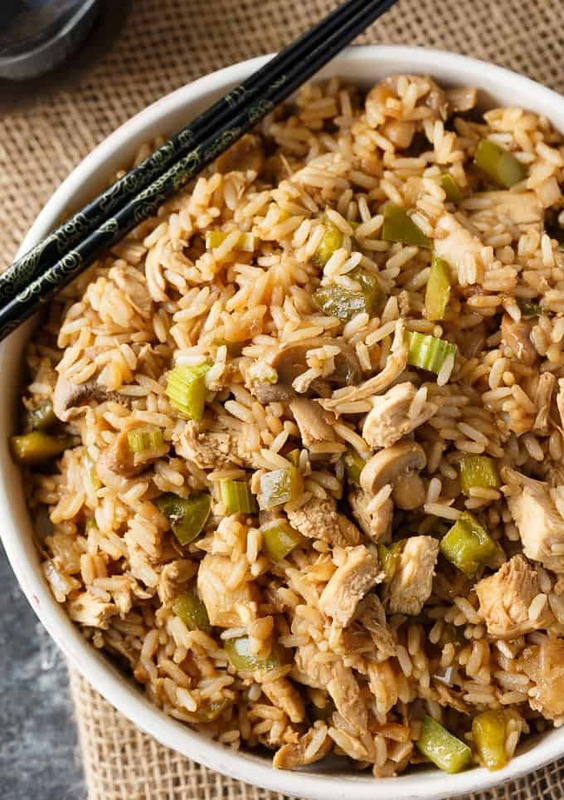 Add in some egg rolls and chicken stir-fry and you have a complete family meal. It’s also a wonderful recipe to bring with you to a pot-luck. People always gobble it right up. Did you know that the Chicken Farmers of Canada has a shopping app? Yes, it’s free to download. 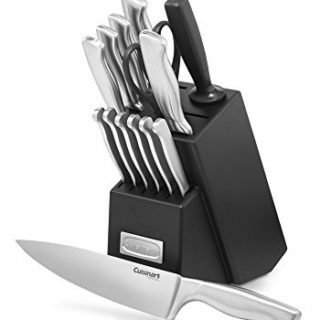 You can use it to plan out your grocery shopping and recipes that you want to make. For more easy chicken recipes, check out Spanish Chicken, Greek Chicken Salad, Sweet and Sour Chicken and Chicken Cordon Bleu Casserole. Better than takeout! This easy family recipe is loved in our home. It's full of flavor and delicious. Stir together all ingredients in a 9x13 casserole dish. Cover with aluminum foil. Bake for 1 hour 15 minutes or until liquid is absorbed and rice is tender. Serve hot. This is one of my husband’s favorite dinners! I’ll totally have to make it soon! I love this recipe, I will try to do by myself. Maybe a bit more spicy, like my boyfriend like. Thank for share! This is one of our favorite meals to eat around here, too! Your recipe looks amazing and so tasty! Thanks for sharing at Celebrate It! 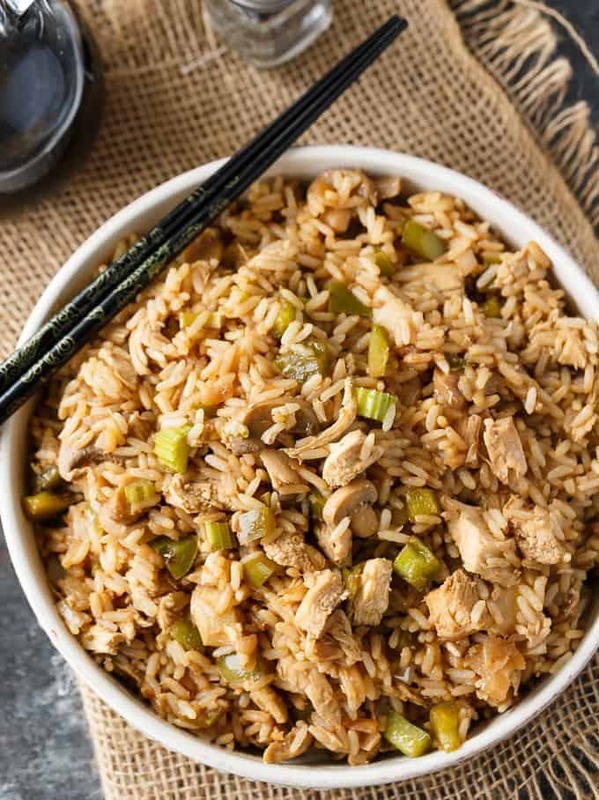 Your Chicken Fried Rice looks so comforting! Hope you are having a great weekend and thanks so much for sharing with Full Plate Thursday! This looks so delish!! Does it matter the type of rice to use – would brown work or should I stick with white? 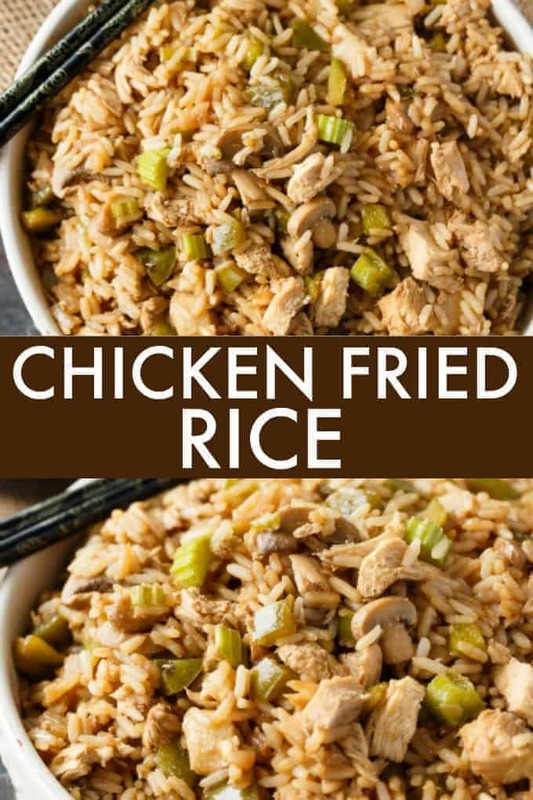 I’ve never tried it with brown rice so I’m not sure if it would turn out the same. Do you drain the mushrooms pieces? Just took out of oven ,added a few scrambled eggs and peas carrots and it may not be fried but it sure not far from it .didnt add bell pepper .Have to say dont knock it till you try ,I was worried from reading all the negative reviews but I have nothing bad to say ,Thank you ! Does leaving out celery change the taste. I have picky kids. Stacie – we loved your recipe. I tweaked it to our liking. I didn’t have three cups of chicken so I added additional veggies. Left out the mushrooms and added a frozen bag of carrots, corn and peas. I used long grain white rice and the liquids were the correct ratio for the rice. I loved the ease of putting it together quickly and having the oven take care of the rest. We enjoyed our dinner and I will definitely be making this again. It is so easy to custom it for your own family. The one thing I will change the next time will be using a little less vegetable oil. This also made great leftovers for our lunches, this week. Thanks for sharing your recipe. This looks delicious, but there is only my 90 year old mum and me. Is it possible to halve the ingredients? And would it affect the cooking time? I haven’t tried it halved but it should be fine. I would check on it periodically while you are baking to see if it would be done sooner. I live alone so I halved the recipe and used i can of diced chicken, drained. The rice didn’t quite get done so I am going to pre-cook it about 5 minutes before adding next time. Really want to try this recipe but cant find a pkt of onion soup mix, what else could i use? Is it ok to leave the oil out of the recipe? I am fixing this tonight for dinner. I try not to eat a lot of oil. Perfect! I think i’m going to add some carrots too! Can you use beef instead of chicken?